Enjoy Utah! : Travel The World...Through Your Mailbox! Travel The World...Through Your Mailbox! Do you ever wish you could visit the places on your "to visit list" all during summer vacation, regardless of budget or time constraint? Well, now you can (or the next best thing)! Kids love getting mail, and by sending away for free information on the places you want to visit, it will "almost" be like visiting there! Did you know that most places you want to visit have a visitors bureau, or a resource travel guide? If you can't visit them all, you can at least receive information from them all! Have your kids sit down and write up a list of all the places they would like to "visit" this summer. Then, go to their website and request a free travel guide or city information guide. Many counties and states will even send you a packet full of information about their area of interest, some of them with little trinkets and prizes included! Once you receive the packet, go through it with your kids and talk about all the fun things to see and do. Then, have your kids use their imagination and writing skills, and write up a short story of "visiting" that place. (For example, I have always wanted to visit Memphis, Tennessee, and see Graceland. After requesting their information brochures and packets, I could write up a story about "My First Trip To Graceland", and "What I Saw While In Memphis". My story might include "running into a mysterious gas station attendant who suspiciously looked very similar to The King himself.") 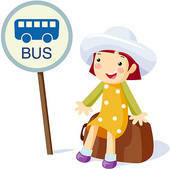 The more your kids use their imagination about "their trip", the better! File the brochures and stories away in their "Summer Adventures" binder or scrapbook. They will enjoy looking at it with their own kids about the trip they "dreamed up" over summer vacation! You can also google the place you want to "visit", followed by "free information" or "free brochures"
Little Passports is also a great program you can sign your kids up for. Their "friends", Sofia and Sam, travel the world and send them information about the places they are seeing. It's not free, but a great program and well worth the money! Have fun, and send us information on what places YOU have "visited" this summer! I love Little Passports. Been doing the world one with my daughter. I will have to look into getting travel brochures, sounds like a great idea!! !